Visiting Saltee Island was a pleasure, but it is the time to return and check out what we have missed while we were away. 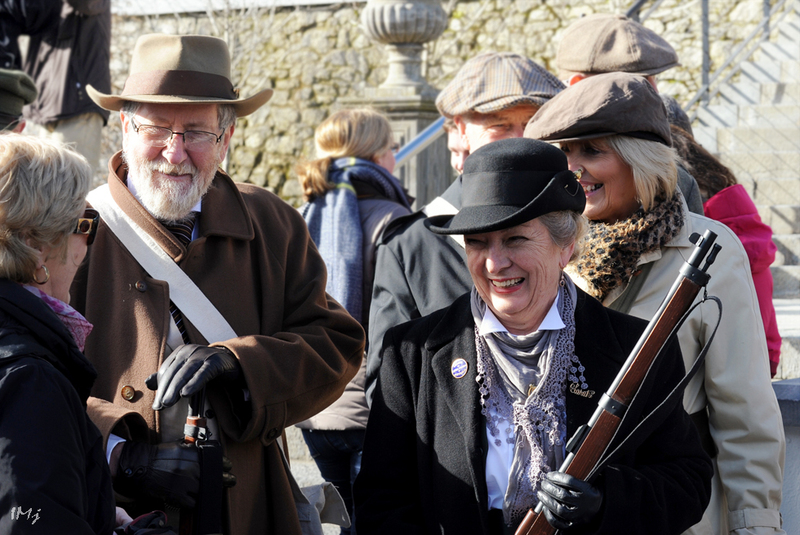 There are some street scenes and the events that took place in Clonmel and Waterford. 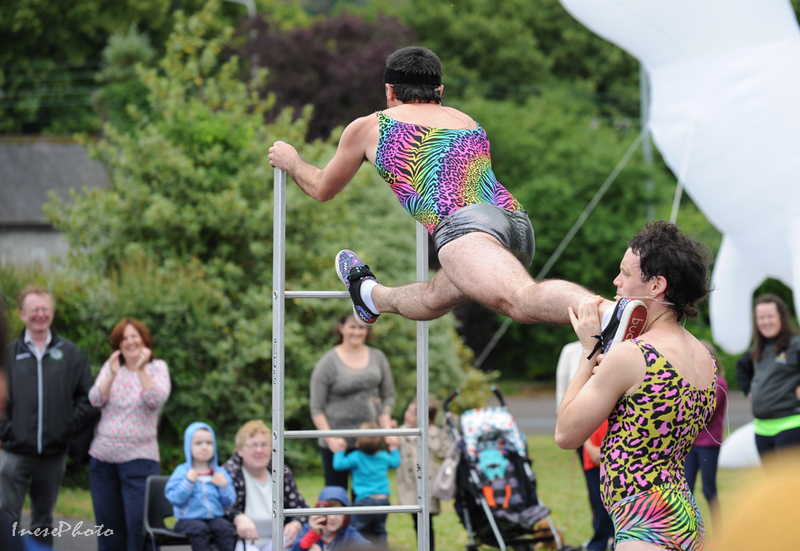 Clonmel Junction festival is the most eventful week in July, filled with live music, street performance, theatre and visual art. 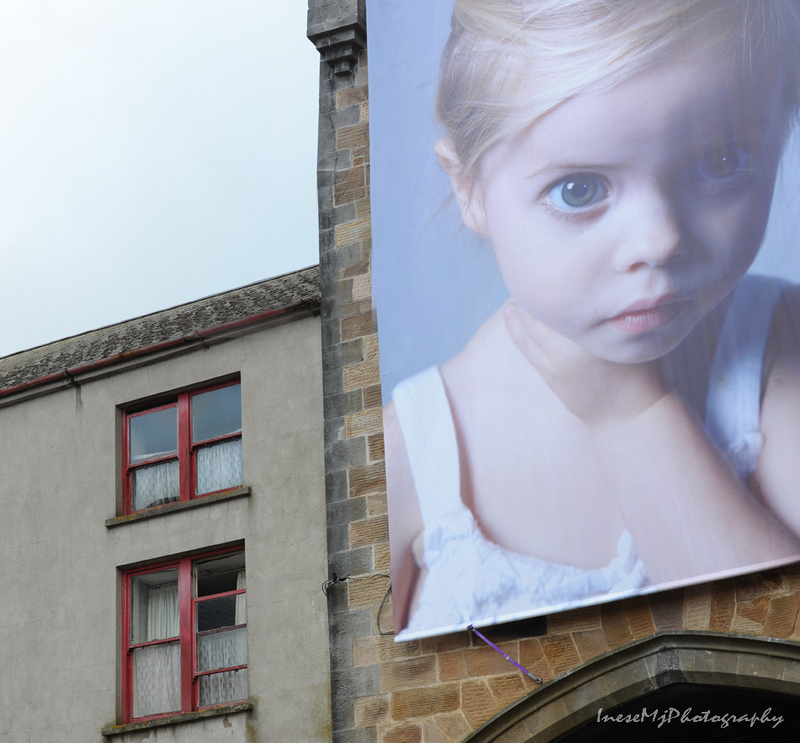 Installations of the works A Child for sale by a world renowned artist and Kilsheelan resident Gottfried Helnwein could be seen in various places in the streets of Clonmel. In my blog post Cry for the Last Child, I wrote about Gottfried and his beautiful castle. His granddaughters Croí and Éala are regular models for his paintings. 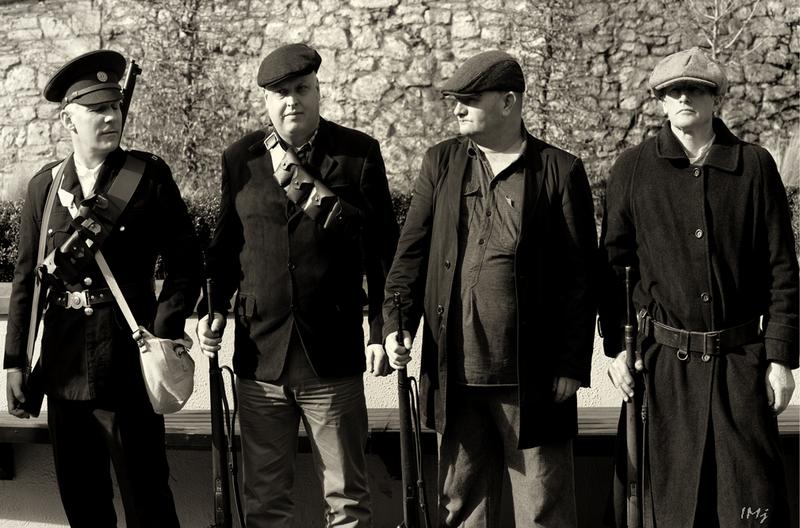 Lords of Strut – very talented and very positive comedians from Cork gave a brilliant performance in Clonmel. 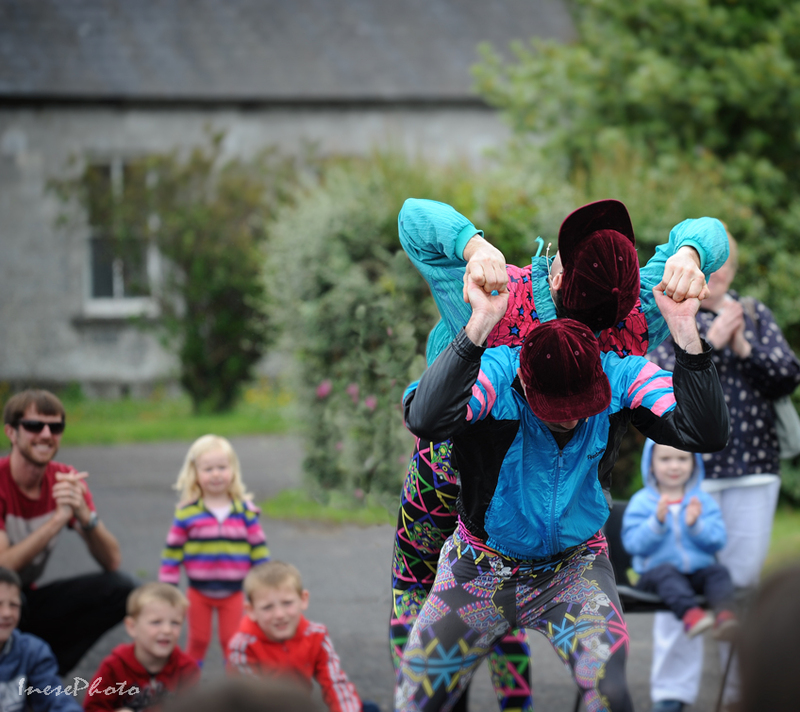 ‘Over styled and under dressed’, silly but charming characters Strut brothers Sean and Seamus, won the hearts of young and old with their hilarious show, acrobatics, satire and dance. 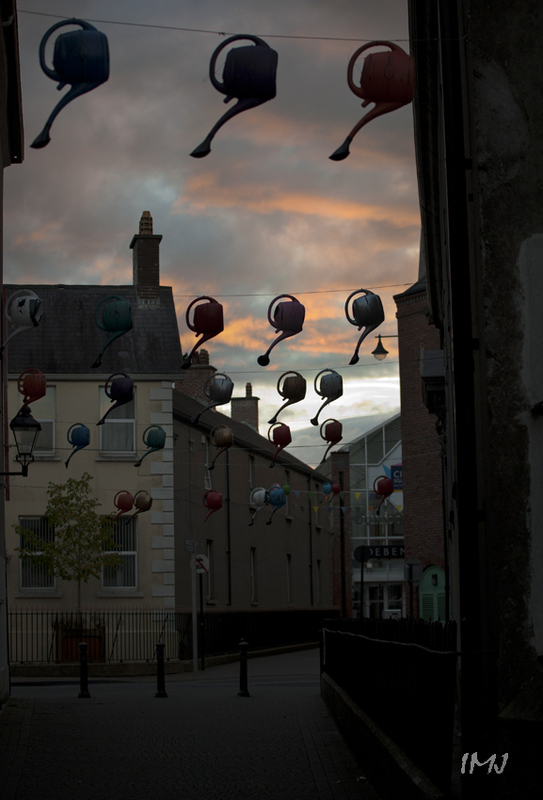 The streets of Waterford were not always as deserted as you might think after looking at this picture. 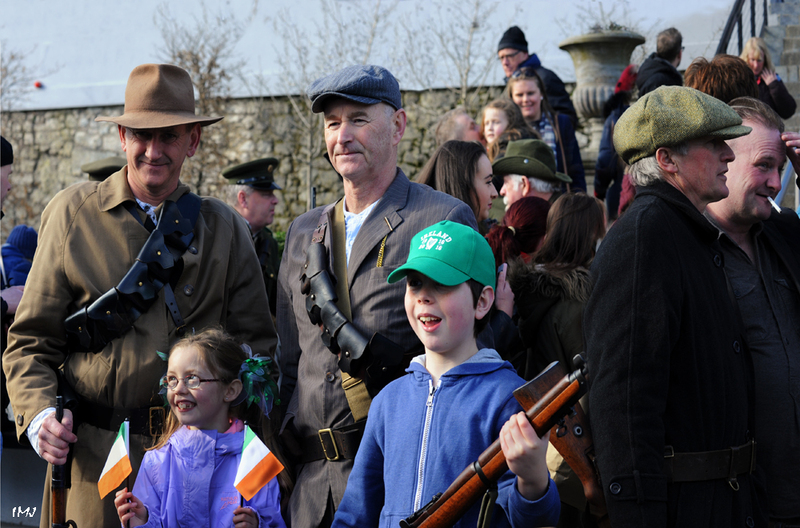 Historical reenactment of 1916 Easter Rising gathered quite a crowd and took us a hundred years back. 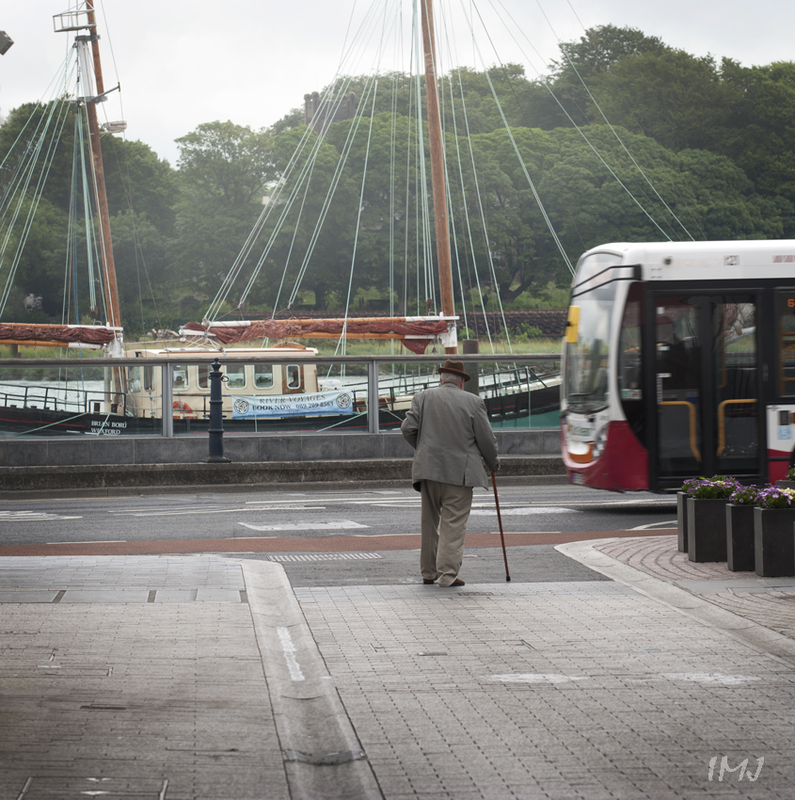 All sorts of transportation in The Quay, side by side. 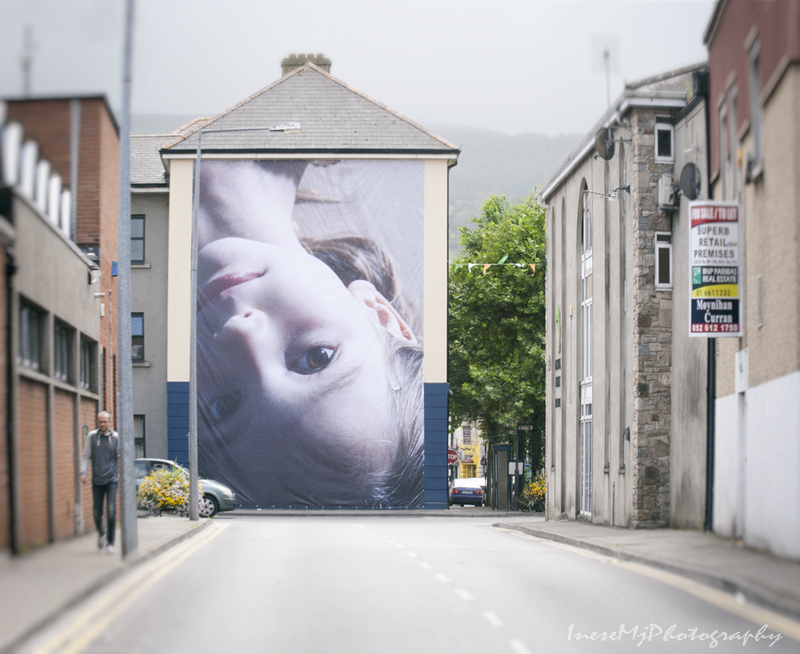 I love this street, and I think that most of my Waterford pictures were taken there. 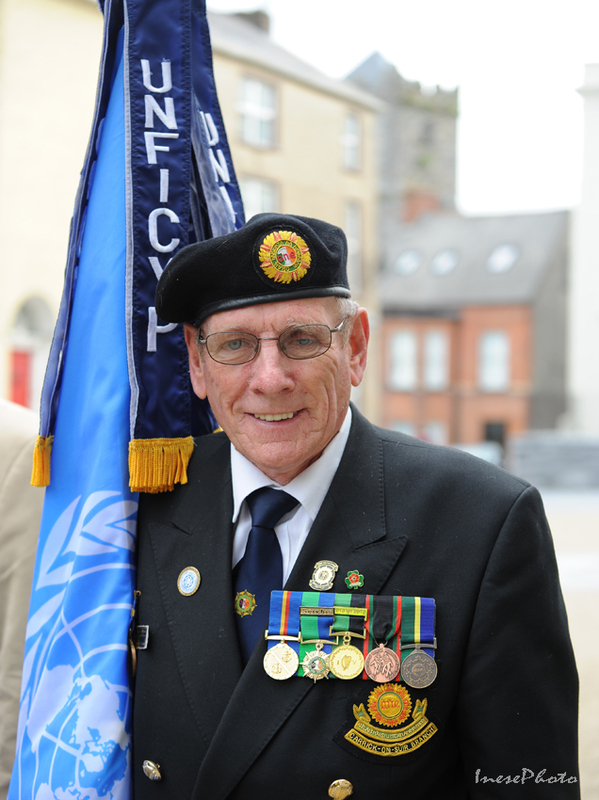 Irish United Nations Veteran meeting was held in Cathedral Square, just a minute walk from The Quay. Thank you for your service! 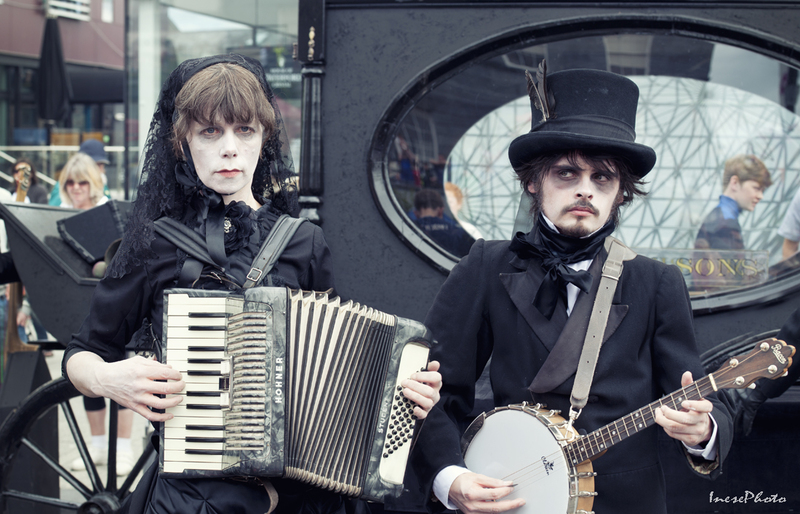 Waterford Spraoi festival is one of a kind. 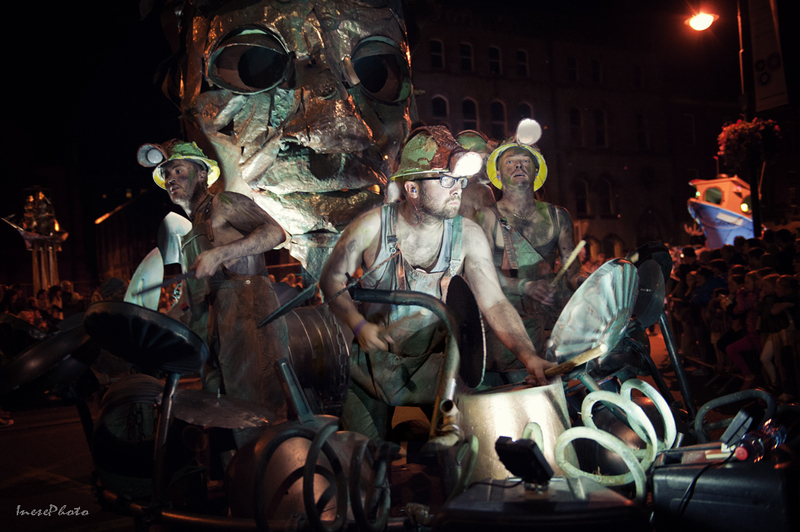 Theatre, music, art, dance and much more is happening in the streets of Waterford on the first weekend of August. 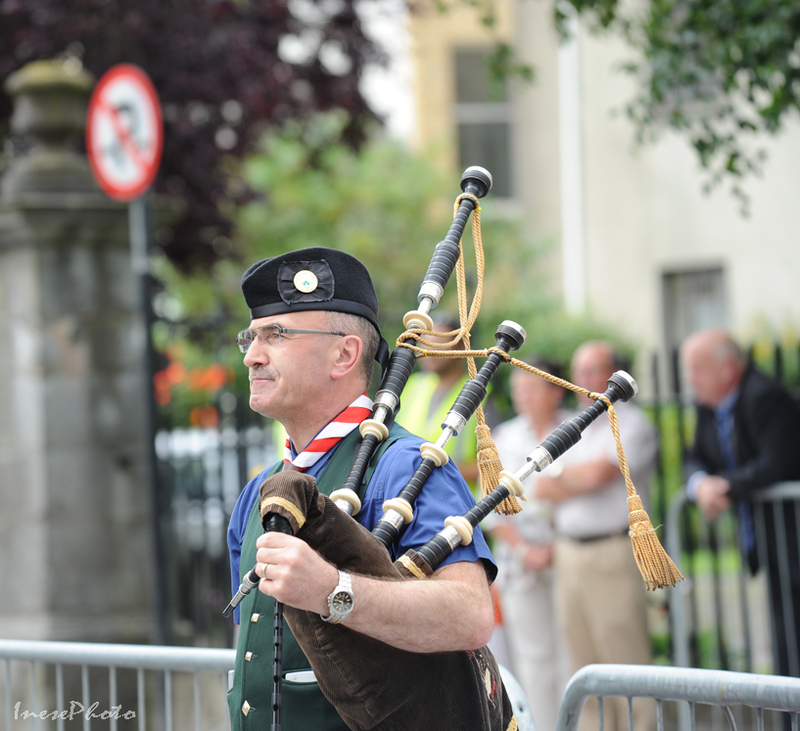 Here is my Spraoi 2015 post. I will share only a few pictures this time. Morbid&Sons, a brand new undertaker business. Way to go, guys! 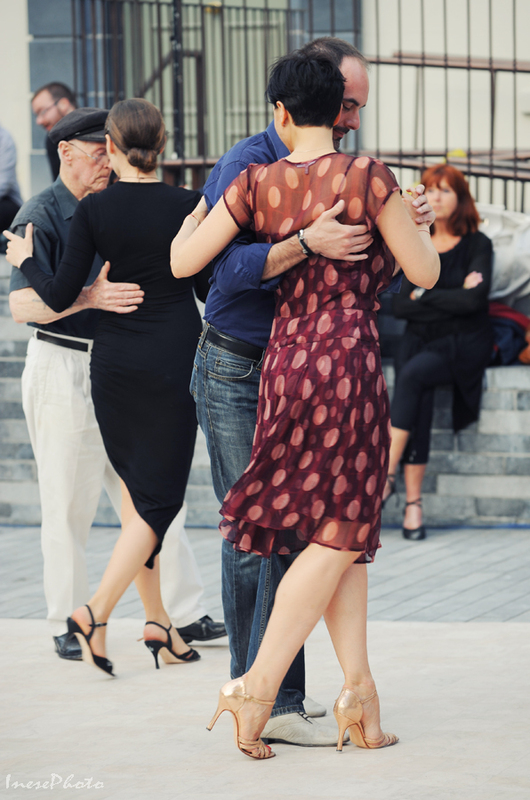 Tango for all! 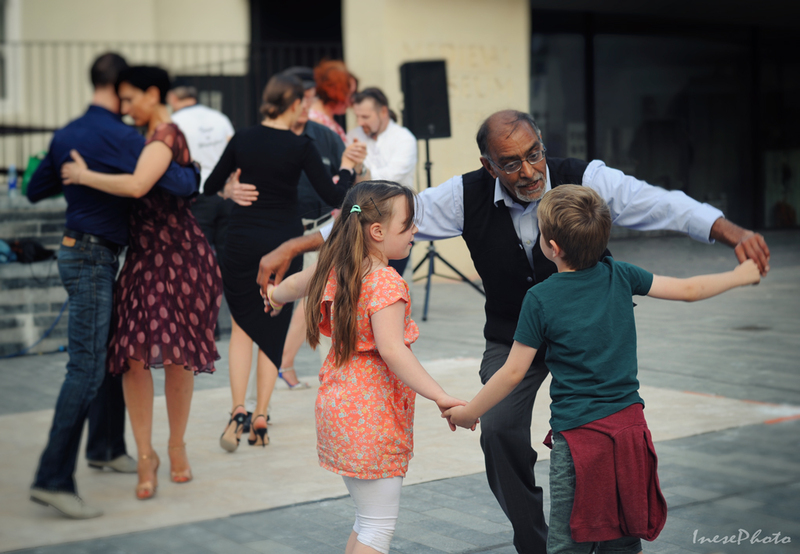 Dance until dark! Melting gold of the setting sun flows behind the horizon. Darkness comes instead. 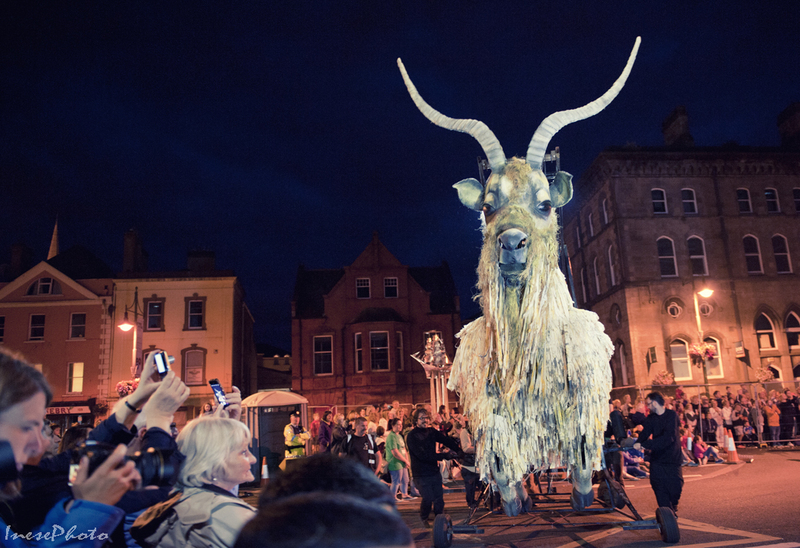 Don’t be afraid of Spraoi monsters. 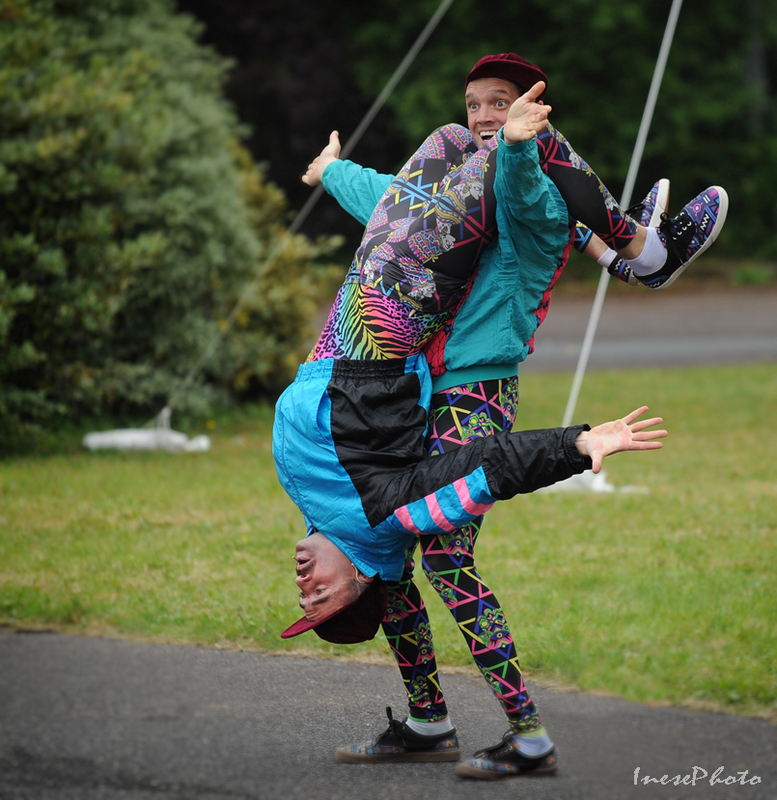 They are a little bit crazy, but all they want is to have fun. The only really scary and ugly thing in this world is hate. Truly wonderful shots that capture humanity at its best. Love the Struts and the black-n-whites. Thank you so much! It was my last weekend in Ireland. I have got a picture with the undertakers, but won’t publish it 🙂 Their show was hilarious. A perfectly Irish adventure, Inese. I really enjoyed the visits in present and past, and of course your lovely photos. 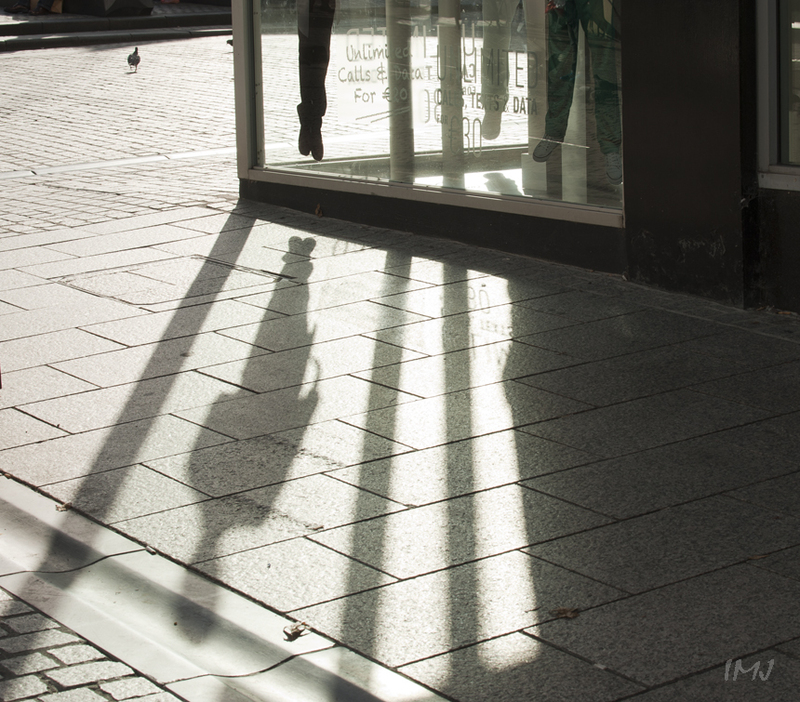 I love the shadow photo of the shop window and chicken. Thank you so much, Jet! We have had many events this summer. 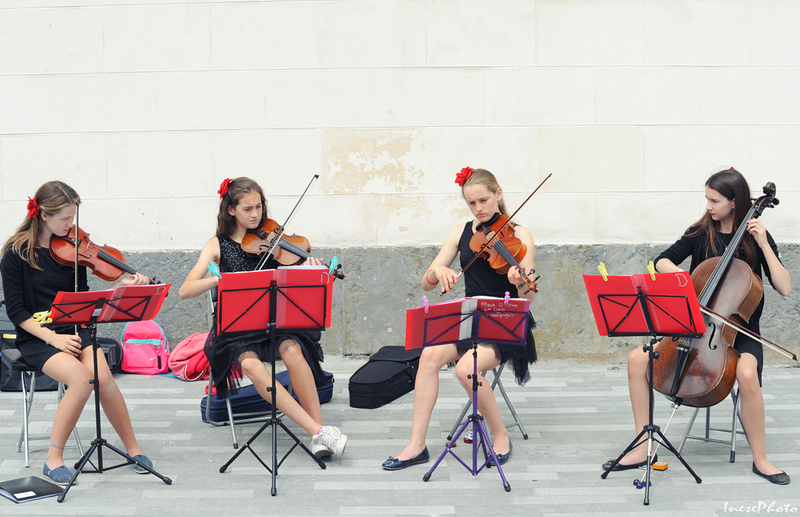 Two amazing festivals, Inese, and fabulous photos of both. I’ve been to Clonmel but not Waterford, and next time we come over there, I intend to make it to Waterford! Are you the lady in black (with the big gun!) 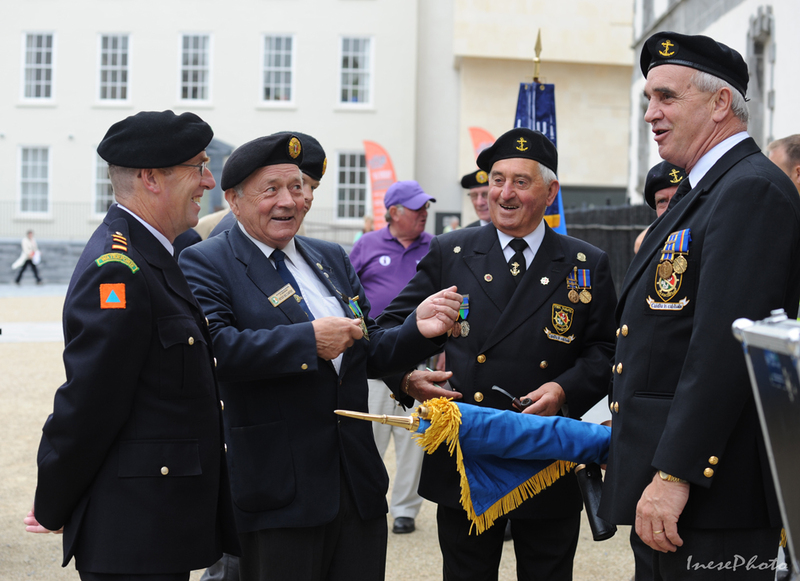 in the photo and at the end of the parade of volunteers, or were you one of the ladies in the middle of the parade? The lady in black doesn’t look like your gravatar image. Thank you Millie! 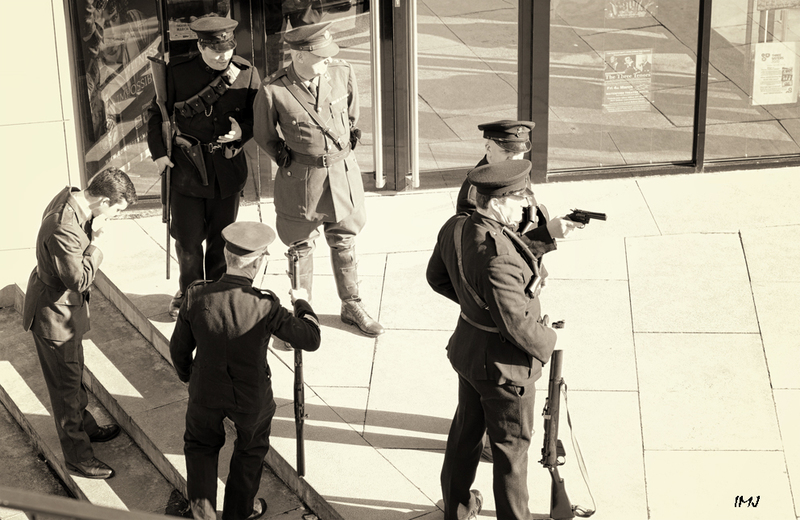 I do have a picture with a gun somewhere, probably even more than one, but I have never killed any creature 🙂 I have mixed feelings about ‘necessary violence’, and don’t want to promote it in my pictures 🙂 I’d rather learn from history instead of repeating it. Lots of surreal imagery here Inese.